Far too often in the mornings, we find ourselves rushing to the gym or the office or perhaps hitting snooze for a few more blessed minutes of sleep. And though breakfast is the most important meal of the day, we’ve all been guilty of making the excuse of not having enough time. Instead, we’ll grab a blueberry muffin or fruit-filled pastry from the local coffee shop out of convenience, or even worse, skip breakfast all together. 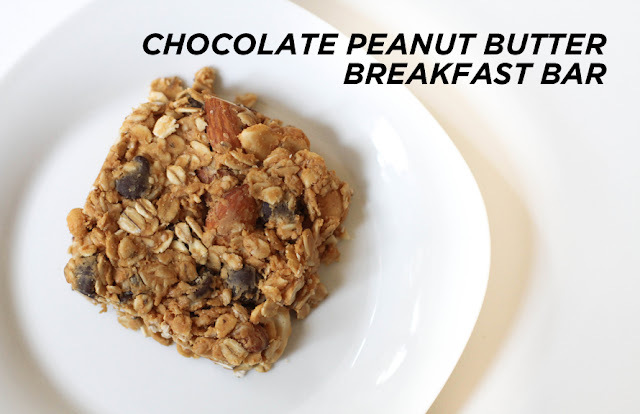 Yet, breakfast doesn’t have to be stressful, time consuming, or expensive. 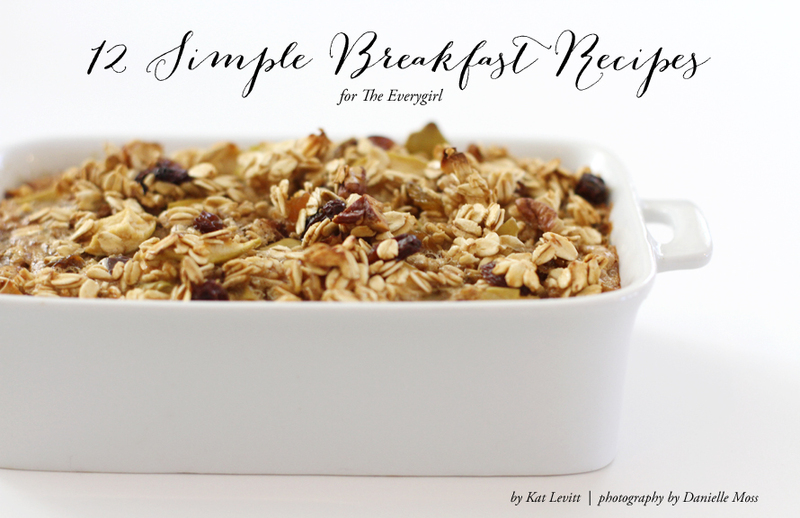 With just a bit of preparation and simple, affordable ingredients easily found at the local grocery story, breakfast can become an enjoyable and energizing start to the day. Today, The Everygirl teams up with Kat Levitt of A Girl and Her Food to share 12 simple and savory recipes that you can whip up in less than 30 minutes. For those that take a little longer, we suggest preparing them the night before so you can grab it in the morning on your way out! From delectable dishes such as basil and red pepper quiche, a baked egg in a tomato, chocolate-peanut butter breakfast bars, quinoa cereal, and berry parfaits, each recipe is perfect for girls on the go and is an inexpensive and delicious way to recharge and get your day started. 2. Line a baking sheet dish with parchment paper. 3. Place the avocado halves face up, resting against the inside of the dish to help prevent them from tilting. 4. 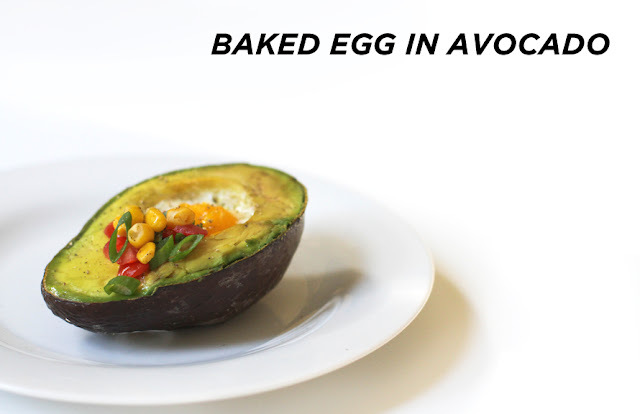 Carefully crack the egg into the center of avocado. Season to taste with salt and pepper. 5. Bake for about 10-15 minutes, until egg sets. 2. Pour the mixture onto a baking dish lined with parchment paper. 3. Place dish in the freezer for over an hour or so. 1. 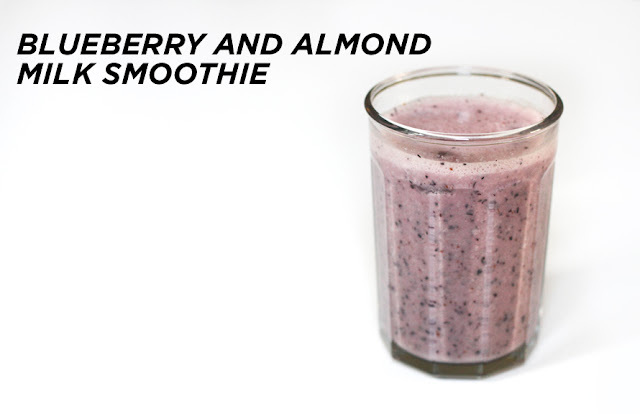 Combine almond milk, blueberries, ice, and chia or flax seeds (optional) in blender. 3. 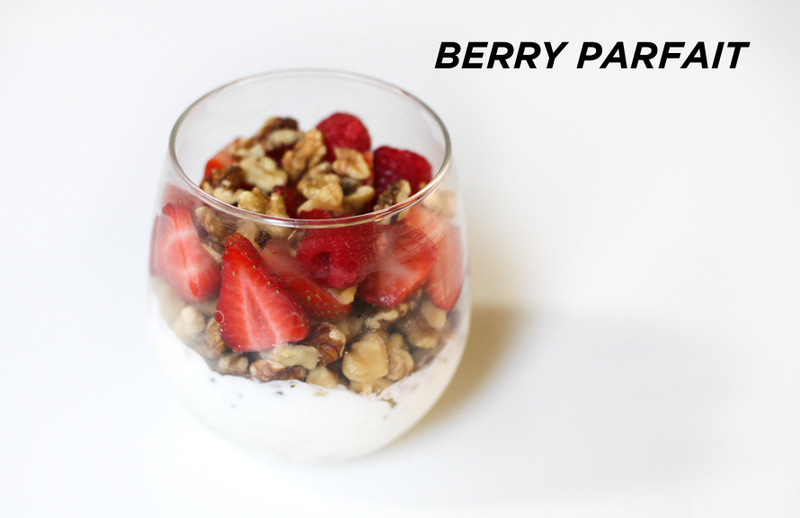 Pour into preferred glass and serve. 2. Line a baking sheet or baking dish with parchment paper or a split mat. 3. Use a serrated knife to cut off the top of the tomato. Using a small spoon; gently remove the inner core and the seeds of the tomato, being careful not to break through the flesh. 4. Place the tomatoes in a dish and season with salt and fresh ground pepper. 5. In a bowl, whisk together the eggs and chives. Pour the mixture into the tomato. 6. 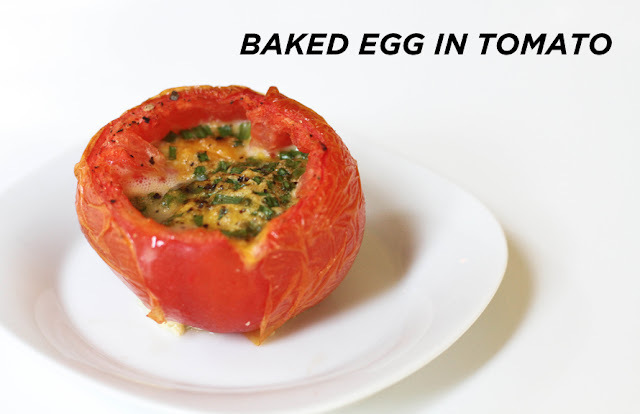 Bake until egg is set, 40-45 minutes. Substitute chives with basil since you may have some leftover from your basil and red pepper quiches. Add grated cheese such as Parmesan, pecorino, or mozzarella. 2. Lightly grease the ramekin with cooking spray, olive oil, or butter. 3. In a small bowl, combine the beans with a pinch cumin, salt , and pepper. 4. Pour mixture into a ramekin. 5. 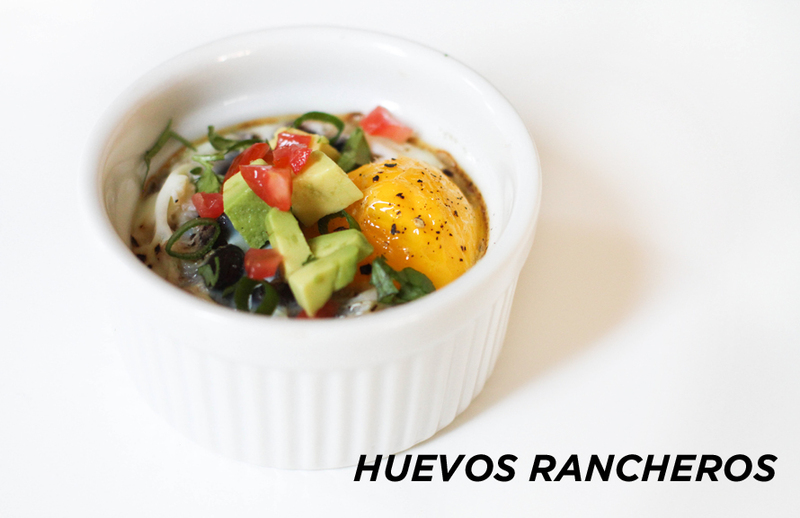 Carefully crack an egg in the center of the ramekin. If you would like to add cheese, you can sprinkle it on top of the egg to your liking. 6. Bake for about 20 minutes or until the egg is set. 1. In a skillet, heat the oil over medium high heat. 2. Sauté the red pepper for 2-3 minutes. Remove from heat and set aside. 3. 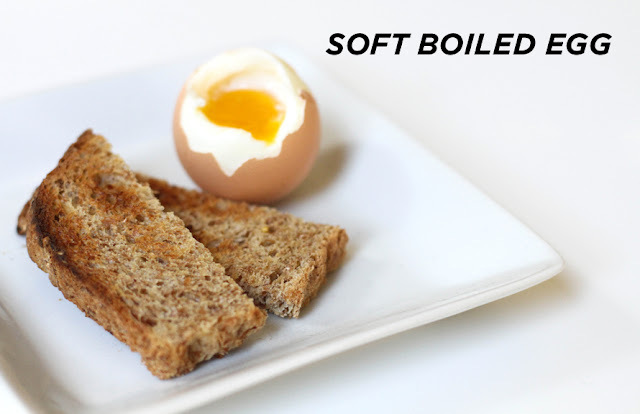 In a bowl, whisk the eggs with a splash of milk. Add the sautéed red peppers and chopped basil. Season with salt and fresh ground pepper. 4. If adding cheese, stir cheese into the mixture before pouring the mixture into the muffin tin. 5. Divide the mixture evenly among the six muffin cups, filling them a bit over halfway. 6. Bake until the quiches rise, for about 20 minutes or until egg is set and the tops begin to brown. 7. Quiches can be refrigerated for up to one week. Serve warm or cold. Add dried fruit, fresh fruit, nuts, or seeds as desired. 1. Soak the quinoa in water for a few minutes and rinse. 2. Place the well-rinsed quinoa and the water in a small saucepan, bringing it to a boil. Simmer and cover, until water is absorbed, about 15 minutes. Once quinoa is cooked, remove from heat. 3. While the quinoa is cooking, heat the butter in a skillet over medium high heat. 4. Add apples to the skillet and cook, turning occasionally for about 3-5 minutes or until soft and caramelized. Set aside. 5. 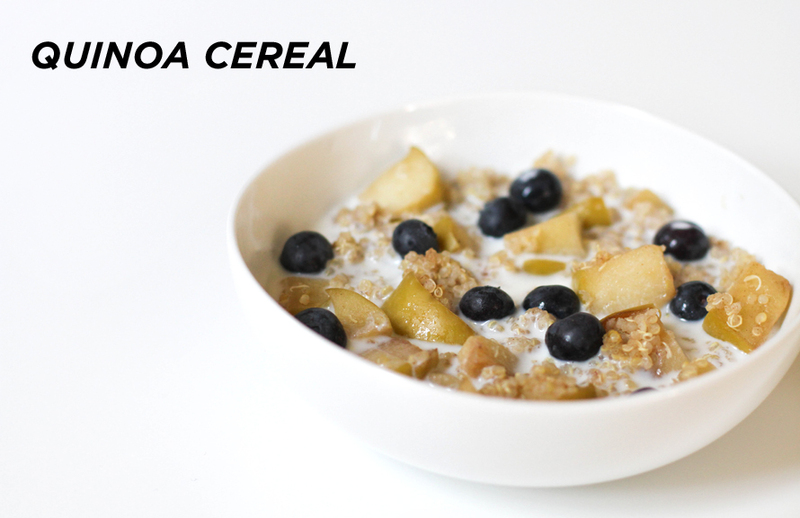 Stir the cinnamon and maple syrup into a bowl with the cooked quinoa; fold in the apples. 6. Add milk or dairy-free alternative into the bowl and serve. 2. Grease rectangular baking dish and set aside. 3. In a medium bowl, mix the oats, nuts, cinnamon, baking powder, and salt. 4. Add in apples, nuts and raisins to bowl. Stir to combine and set aside. 5. In a separate bowl, whisk together the milk, brown sugar and vanilla extract. 6. Pour wet ingredients over the dry mixture and gently stir to combine all the ingredients. 7. 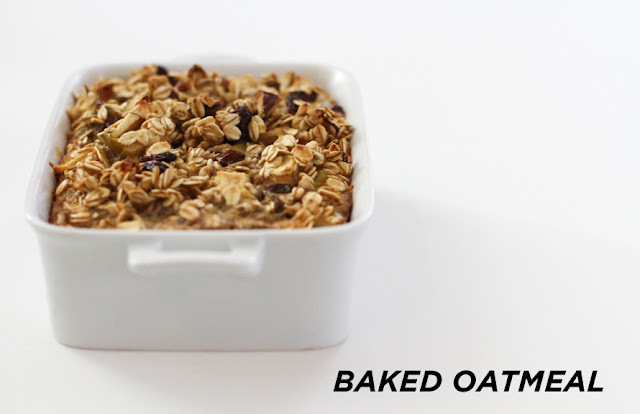 Fold the mixture into the greased baking dish and bake for about 45 minutes or until golden brown. This dish is great to use for mini lasagna, baked chicken. or egg dishes. Fantastic for use from the kitchen to the table. 1. Divide the yogurt, fruit, and walnuts in a glass. 1. Fill a small saucepan with enough water, about halfway, to cover the egg. Bring the water to a boil over medium high heat. 2. Lower the heat; so the water reduces to a rapid simmer and gently lower the egg into the water. I recommend using a slotted spoon. 3. Let it simmer for 5 minutes for runny yolk or 6 minutes for a barely set yolk. Set your timer. 4. Drain the egg and run it under cold water for about 30 seconds. 5. Using a spoon, gently crack the egg’s top and peel away the tip, or gently use a knife to cut the tip off the egg, leaving a hole just big enough for a small spoon. 6. Enjoy straight from the shell with a spoon; scooping out membranes until you reach the yolk. 1. 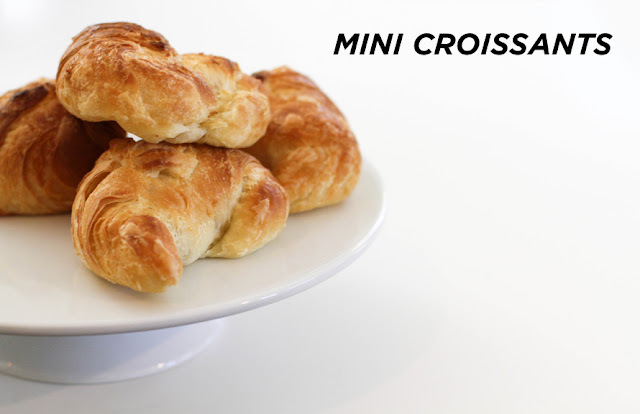 Break off one or two frozen croissants. Place the frozen croissants, with center point facing up on a lightly greased or parchment lined baking sheet. 2. Allow uncovered croissants to sit at room temperature for 7-9 hours (overnight). They will grow and double in size! 4. Bake for 15-20 minutes or until crisp and browned. 5. Let cool for about 7 minutes. Enjoy plain or with jam! 2. In a bowl, add all of the ingredients, and stir until combined. 3. Grease a baking dish or pan. Spread the mixture evenly in baking dish or pan. 4. Bake for about 15 minutes, depending on crunch preference. 5. 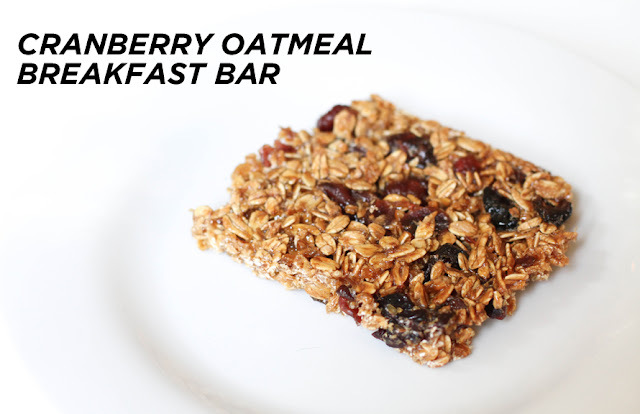 Let it cool before you cut into squares and serve. 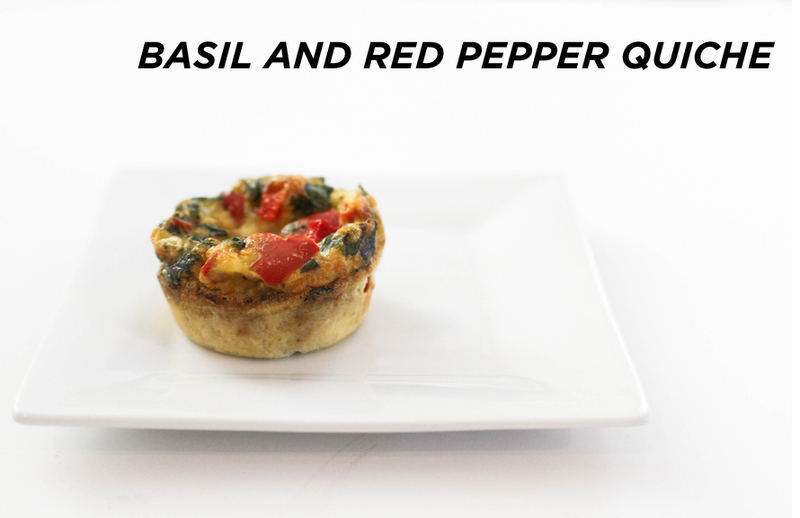 I love the little red pepper and basil quiche, what temp are you supposed to bake them at?